We take pride in delivering top quality service and product to all of our customers. Read what our a few of our clients have to share with you! We were pleased with the knowledge, attention to detail and creativity that the Bender Team utilized in designing and building our pond. Larry Bender's Landscaping deserves recognition for it's good work. They were very easy to work with and do not rush the construction process which limits unwanted errors or miscommunication. I think that the 2 day pond that is finished within a day and a half is incomparable to the quality and workmanship of that has been delivered to us. The value to investment ratio is very high. I would recommend them to all of my valued contacts, friends and family." "Pond was beautiful beyond our expectations. Would highly recommend Bender Landscaping ponds." 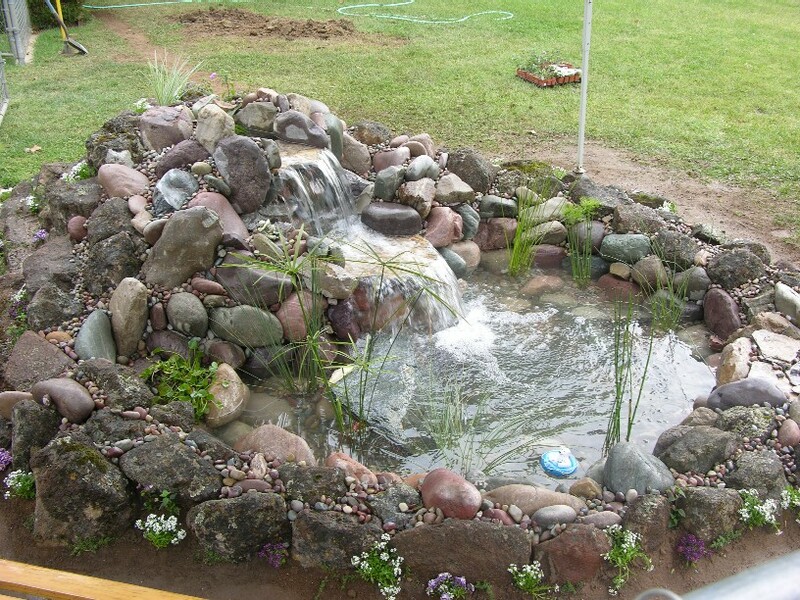 "I highly recommend that you choose Bender's Landscaping to build your pond. When I made the decision to build a pond in my back yard, I spoke with many different companies. I received 3 different bids. Larry and Roxanne's bid was in the middle (not the cheapest) but they were the only ones that literally sat down with me, showed me pictures of their previous ponds, listened to what my questions and concerns were - really took time with me. I also liked how down-to-earth they both were and that they seemed to care about doing a great job. I took some time in making my decision, and during that process, my mind kept going back to the Bender's and the quality time they showed during our first meeting. From start to finish, Larry and Roxanne are two of the hardest working people I've ever seen. The time and care they took with each step of the process confirmed to me that I made the right decision. It is now one year since my pond was built by the Bender's. I have had not one problem with the pump, pond, or the pond parts integrity. I have been all over the pond rocks and waterfall and everything is structurally secure and sound. All of the beatiful plants Roxanne picked out and planted have re-bloomed in full force. My fish have fourished also. I cannot explain to you the joy, tranquility, and happiness this pond has brought me over the past year (and I know many years to come). It's an extraordinary pond built with love and care by two extraordinary people." "I just wanted to write this letter to thank you for all the hard work you put into improving my backyard. I really like the waterfall and can't wait to enjoy it with some friends and family. All the work in getting the drip system, electrical, weed blocker, and plants under this Sacramento heat is definitely appreciated. I can't wait until those plants and trees start taking shape. You can definitely count me in as a reference for any future projects you do. Regards,"
Why choose a Bender Built Pond over the "other guys"? For quality of workmanship from people who care about doing the best job possible. 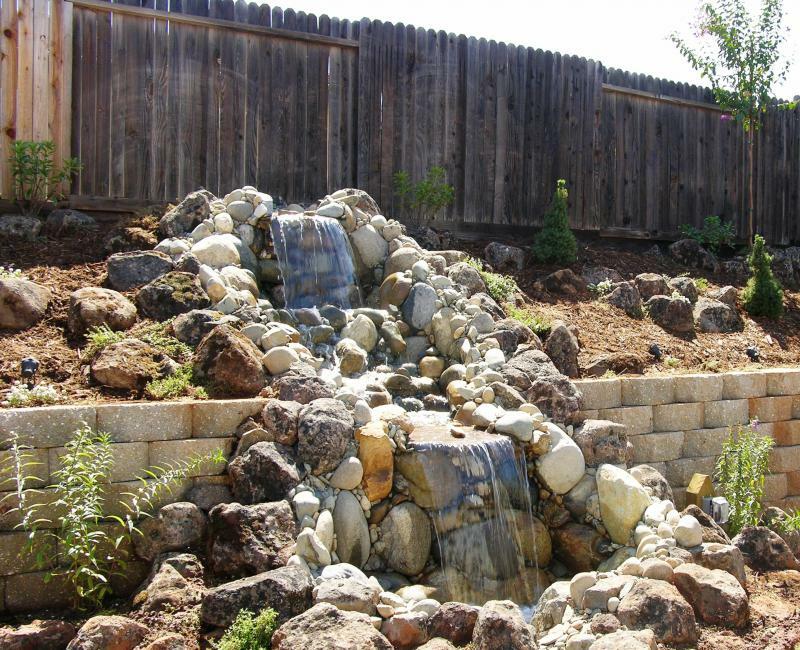 We are detail oriented about every step of our job, not only pond designing and building, but even when it comes to general landscaping. We believe in doing things right the first time. When we return to a customer's home it is usually for a Spring cleaning or often, for an additional project. When we do a free consultation we work with the customer to determine what will best fit their lifestyle and desires. We take pictures and measurements and return in a day or two with a proposal package. We call it this because it will outline what we plan to do with pictures to explain it clearly and usually a drawing of what we have planned. We do not make a vague agreement based on a price list. We do not throw out a dollar figure because that is usually a way to simply inflat the costs to cover the unknown or just to close the deal on the spot! We have seen way too many ponds and waterfalls that were not only ugly and fallling apart but many were just plain dangerous to be around. 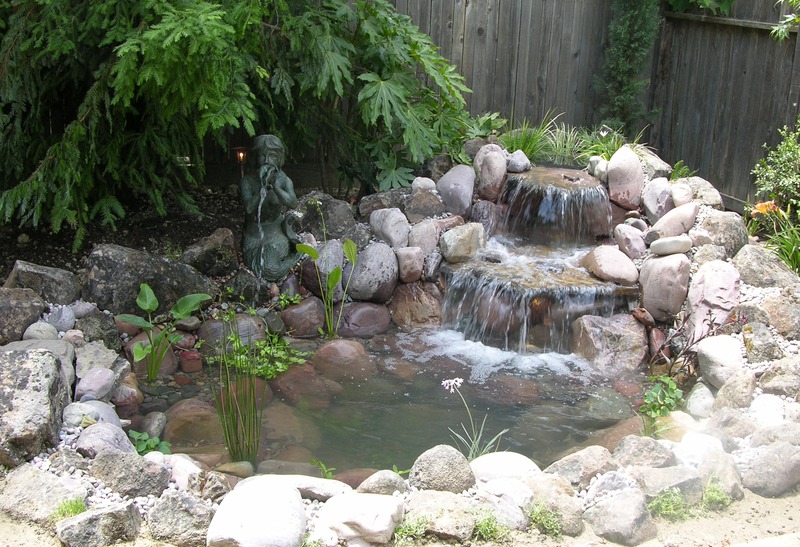 Please call us if you are a pond shopper and at the very least hear what we do differently to make sure your personal retreat is beautiful and functional for many years. To see more photos visit http://gooddaysacramento.com/ and choose UPOG on the menu bar. 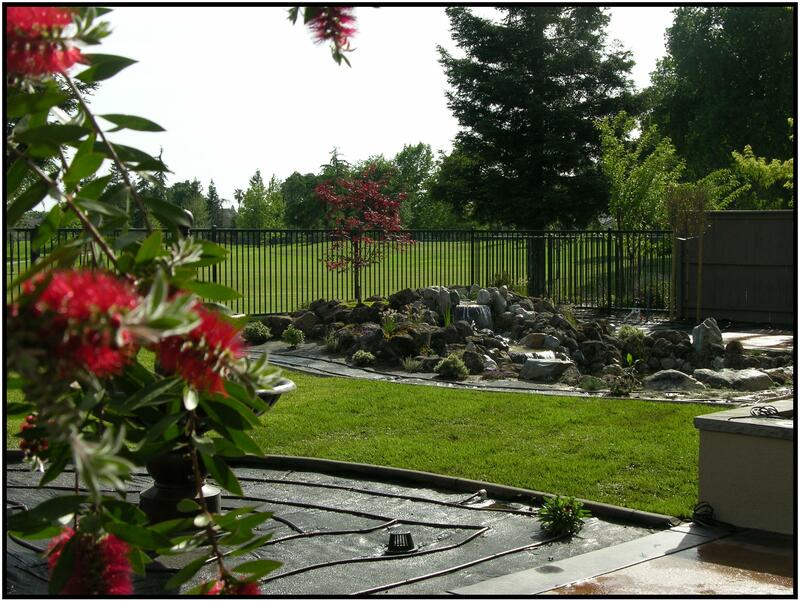 Our best referrals and favorite suppliers: www.cascaderockinc.com ; Ewing Irrigation on Florin-Perkins Rd; and Village Nursery on Bradshaw just north of Florin Road.